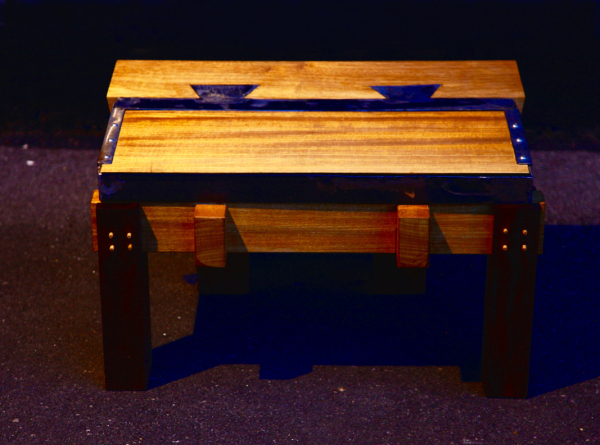 This piece was an experiment of mixing joinery and metal work for a coffee table. The brief was to design a neat, compact table to accommodate the client’s small apartment. Storage was required within the table for books and magazines. The design gives access to the storage without disturbing the whole surface of the table.